Synthesis of a homogenous mixture sounds simple; now add in the fact that the two solutions being mixed are immiscible. Not so easy anymore. 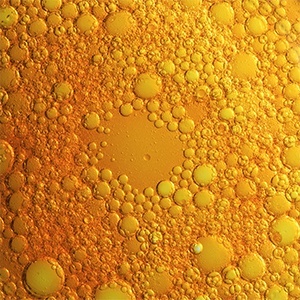 Production of an oil and water emulsion requires specialized machinery, such as a homogenizer, that most scientists in the pharmaceutical, biotech, and food industries have access to. The resulting emulsion appears to be a single homogenous mixture. But 6 months to a year later, this mixture can lose its stable form and separate back into two immiscible layers. In this edition of the BEEI blog, we analyze specific ways to achieve a stable emulsion and an overall high-quality product, and how high-pressure homogenization helps to accomplish this purpose. The two most common emulsion forms are oil-in-water (o/w) and water-in-oil (w/o). Because water and oil are immiscible, emulsion production requires a powerful mixer. Homogenization, one such method, uses mechanical forces to mix the oil and water particles. Also critical to the equation is a surfactant, which creates a dispersion by helping to organize the particles into micelles. The surfactant you select will depend on whether you are producing a w/o or o/w emulsion, but should be selected carefully, as this selection will weigh heavily on the stability and quality of the final product. Optimized surfactant formulation - Surfactants function to break up droplets, organize the particles, and adhere to the smaller particles; this thereby stabilizes them in their newly minted form.Use of more than one surfactant is oftentimes preferable, particularly with o/w emulsions. Emulsion production involves high pressure mixing, most commonly in the form of homogenization. Homogenization is the preferable method due to its ability to reduce particle sizes more significantly than other blending/emulsification methods. The first step in synthesizing a w/o or o/w emulsion is purchasing equipment that will achieve small and consistent particle size distribution. One such example is the high pressure homogenizer by BEE International Technology. Our products are trusted by pharmaceutical researchers and lab managers around the world for key benefits, such as production of nano/micro emulsions, dispersions, and suspensions; importantly, this equipment can achieve consistent particle sizes at or below 100 nm, a key benefit for researchers & corporations that synthesize pharmaceutical products. In addition, BEEI has extensive experience assisting its product users as they transition through the drug development process. Our homogenizers are differentiated for R&D, clinical trials, and manufacturing, and our customer support is reliable, experience-driven, and effective.